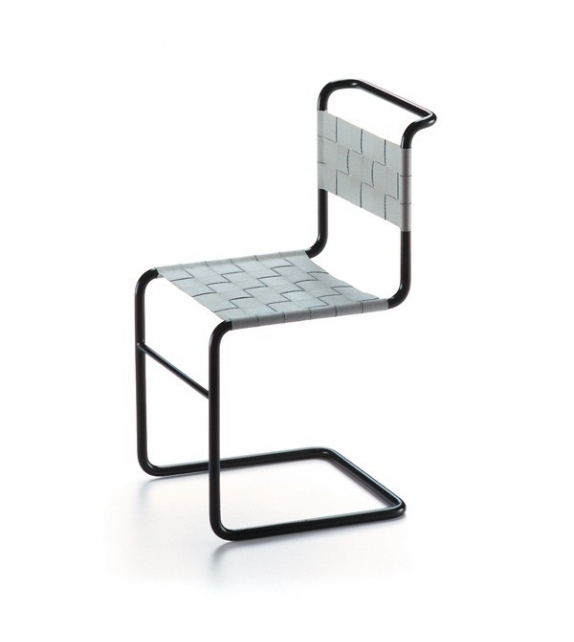 Vitra Miniarure Stuhl W1, Stam: Dutch designer Mart Stam produced the first prototypes for a cantilevered chair in 1926, using sawed-off gas pipes which he linked with elbow butting. 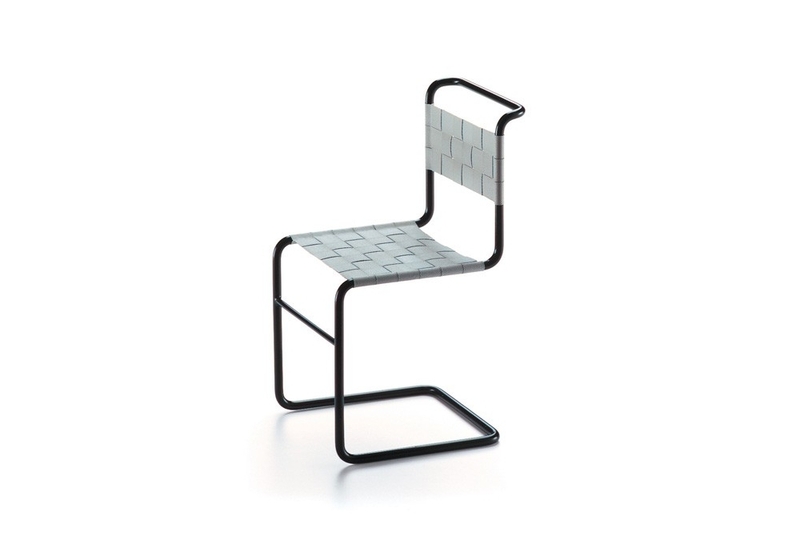 Unlike the prototype, the Arnold chair was made from a single piece of tubular steel with a diameter of just 20 mm, and with walls 2 mm thick. 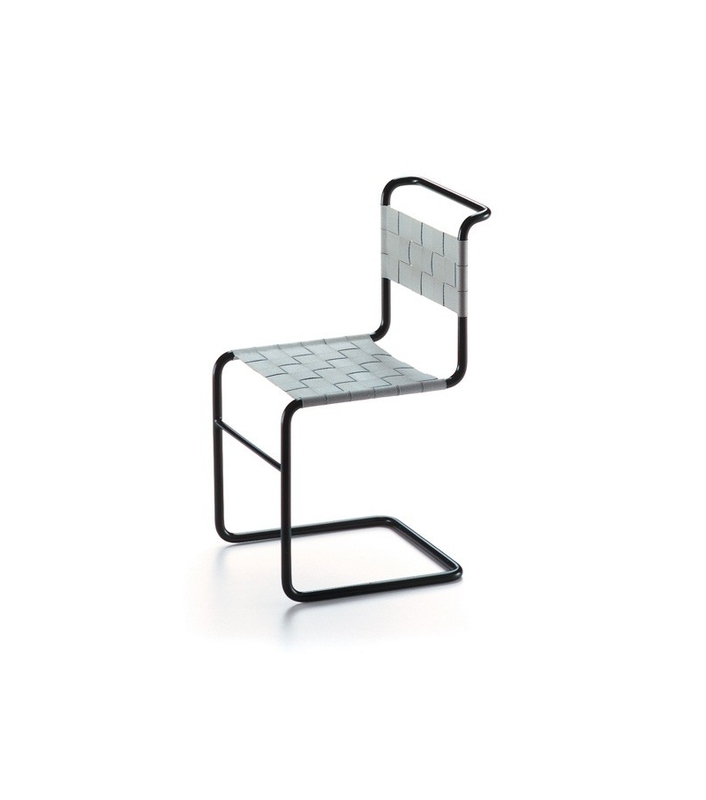 Vitra Miniarure Stuhl W1, Stam: Dutch designer Mart Stam produced the first prototypes for a cantilevered chair in 1926, using sawed-off gas pipes which he linked with elbow butting. The base frame, legs, seat and back-rest were created by a continuous loop bent at right angles. In 1927 Stam had his design produced by the L. & C. Arnold company, which also featured it in their sales program for a year. Unlike the prototype, the Arnold chair was made from a single piece of tubular steel with a diameter of just 20 mm, and with walls 2 mm thick. The bends in the tube had to be reinforced with solid iron rods, and thus lacked anyspringiness. The chair was painted black or grey, and, with its covering of rubber or coarse fabric, had a rather unassuming appearance. Lacquered tubular steel, fabric bands.